All in all a great idea, but not as simple as it seems, this one takes a bit of an artistic, and patient hand. The Mr. Chips said he would love to try this again, only modified for take two, we will let you know how it goes! 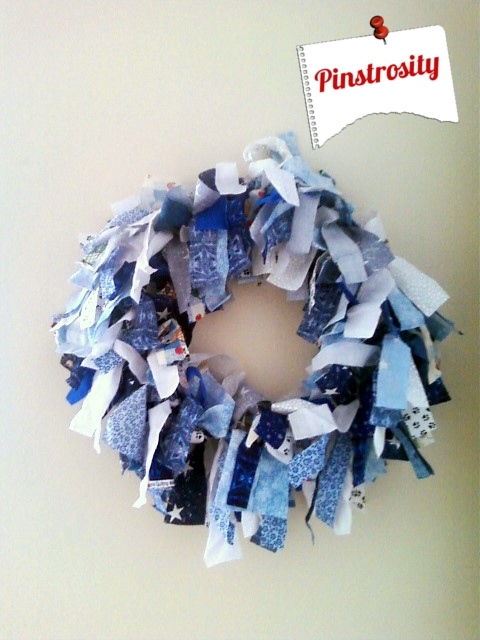 We've all seen the cute wreaths made from fabric scraps, right? 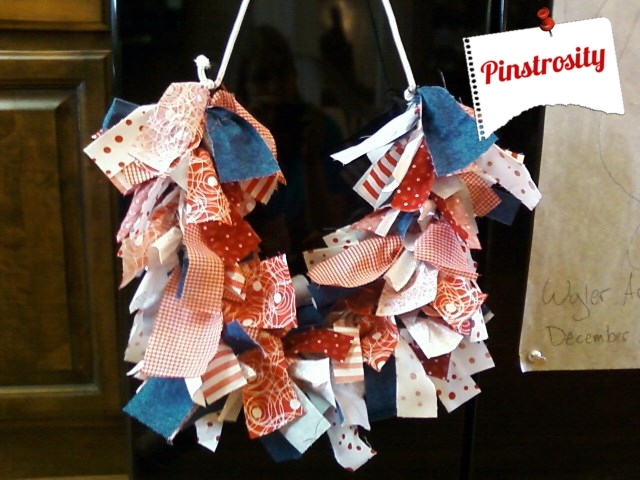 Fun color combinations, reduces your scrap bag, easy to make, what's not to love? Looks easy enough (famous last words for all of us). Pinster Carolyn sent us over her scrappy wreath Pinstrosity. Carolyn and a cousin gathered the supplies listed on the blog and got together to make some scrappy wreaths, one for each of them and one for Carolyn's Mother-in-Law. Carolyn says, "I pulled out a wire hanger and formed it into a circle. Then I pulled out scraps of fabric and cut them into 1.5"x10" strips." The tying began, but they soon realized things weren't quite the same. 10 inch fabric scraps are just too long for a wreath from a clothes hanger (as Carolyn noted in her email to us). After seeing the results from the 10" strips, the cousins decided to try 6" strips on a heart wreath, and those worked much much better (as you can see by their next wreath). 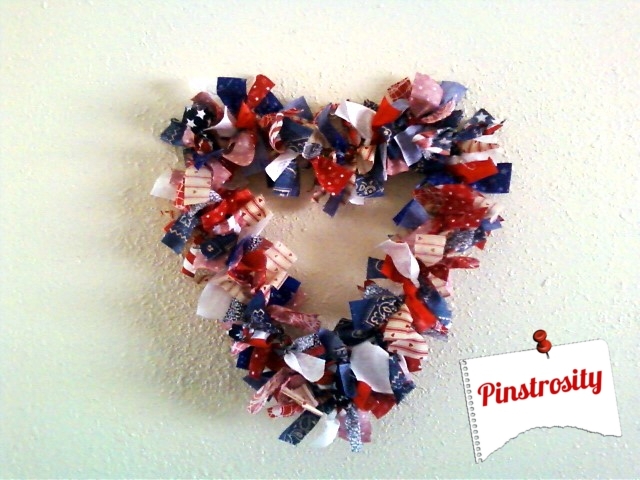 If you're using a wreath frame that is thin (like a clothes hanger, small piping, starched yarn, etc) use shorter strips. If you're using a thicker wreath frame, use longer strips. "Before either of the above wreaths were made, my mother-in-law asked me to make one for her, only she wanted it to be a horse shoe shape with a rope to hang it." She says, "Well that failed miserably, but maybe it wouldn't have if I had used shorter strips." Hello All! 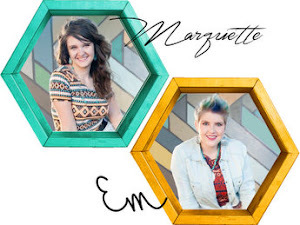 This is the first post by Emilee, and well it's not actually mine! This one was The Mr. Chip's disaster project. Ahem. Here Goes! Awesome right! Who knew?! Grilled Cheese, easy on the Grilled. 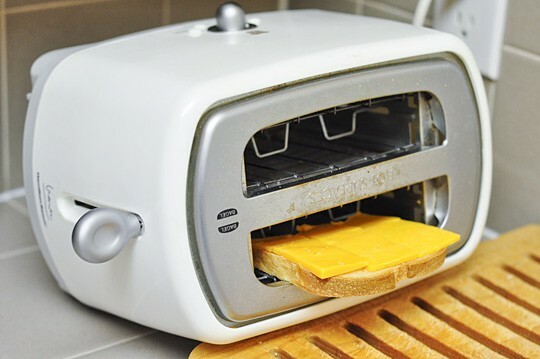 If you read the directions, instead of just going off of the picture, it would have told you that this "trick" doesn't work on ALL toasters, however, it then goes on to say that this only works on a toaster without a "Toast Cage", AND (here's where they get ya') if the cheese does NOT melt off the side. So in all reality this only works if there is in fact no cheese involved at all, lame right?! Because really what is a Grilled Cheese without melty cheese?! In Chip's experiMELT he turned the toaster over, put in the cheese and bread, just as the pictures shows, and well...our toaster caught on fire. So this project is a bust. Go to your local Wally World, and buy a Toaster Oven! ...and well another option is to carefully place your cheese on the bread, and make sure you REALLY watch it, because the cheese can get out of hand really quickly. Another thing to consider is that toasters were not meant to be on their sides, so the heat has no where to go if it can't vent up, causing to much heat, and then fire. Overall this "trick" was a bust and safety hazard, so if I were you I would stick with traditional toast, or traditional Grilled cheese, on a grill, the way they were meant to be. Happy Toasting! We finally had our first pinstrosity emailed to us! 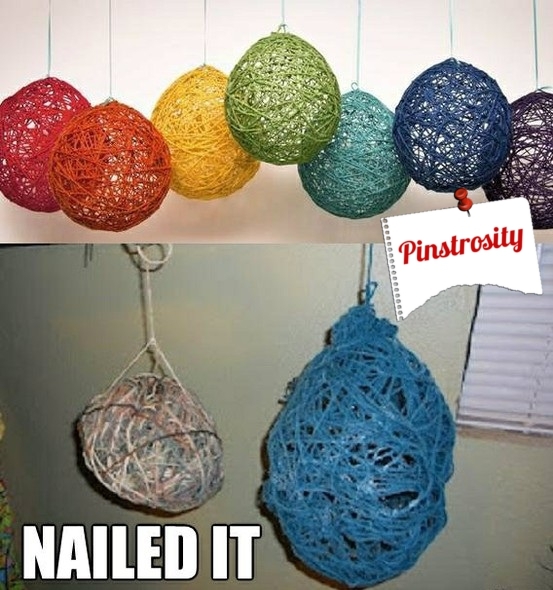 Pinterest Pal (what are Pinterest users called? Pinsters?) 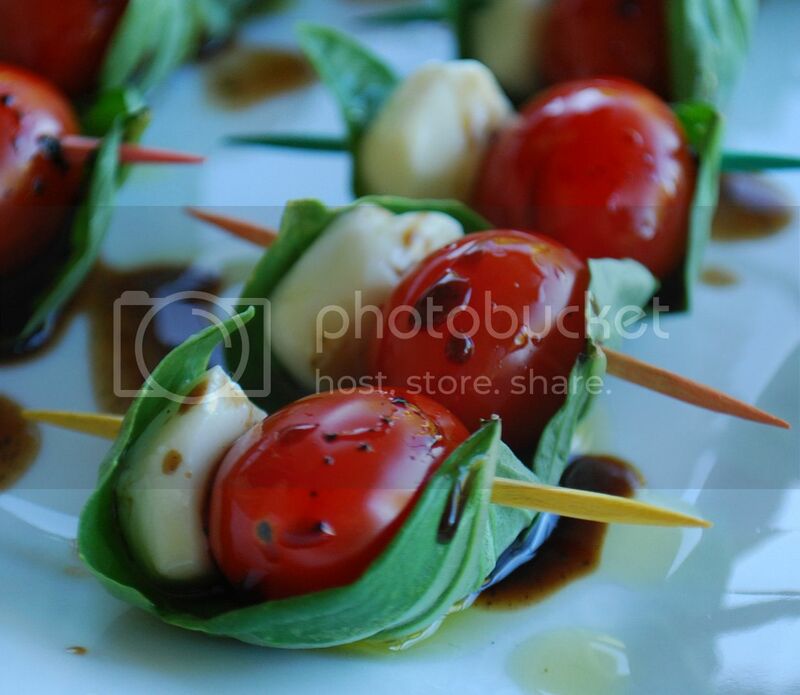 Diedre sent over her Pinstrosity, Caprese Salad Skewers. Diedre says, "It wasn't a disaster, but could've used some improvements." The whole basil leaf was too overpowering. She says "I found the texture of the fresh mozzarella to be too slimy for my liking, but I tend to be overly sensitive to textures, so that may have just been me." "I think this idea would've been better. You could use a stick of string cheese to get a firmer cheese texture, and the shredded basil would be much less overpowering. And you could fit it all into one bite." I've had my eye on this project for a while. I'm just a beginner crocheter, and this looked a little intimidating, but I finally decided today was the day. Look how cute this dish mop is! The crocheting instructions were easy, and it came together quickly. All went well at first...until I realized this was taking on Great Hulk proportions. Yet, I continued on and finished it, wondering why mine was different. Well...this is mine. Not so cute. I didn't read the directions close. Had I done so, I would have gathered the right supplies. The directions are very well written, I just failed to read them completely. I used size 4 yarn, not 3. I just grabbed one of my crochet hooks, not checking to make sure I had the right size. I used a 5mm instead of a 2.5mm. By the time I got to row 4, I knew this was already way too big. So I skipped rows 5 and 6. 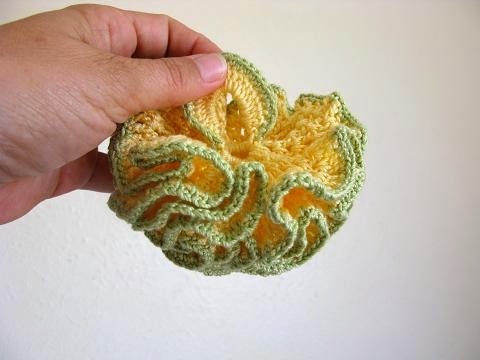 I can't imagine how over-sized this would be had I done all the rows in the pattern. Read the directions and use the suggested materials. A smaller hook with the same size of yarn would have made it smaller, but not as small as the pattern makes. There's not much I can do to the dish mop I just made to fix it. So now I've got a Crocheted Ruffled Dust Mop. I'll try this project again when I have the right yarn and hook and see if I can't get a cute dish mop out of it. I was looking for sugar free desserts the other day and came across a recipe for yogurt, honey, cinnamon ice cream. I pinned that faster than...something really fast. I LOVE cinnamon. I love honey. I love ice cream. A combination of the three? Yes please. This sounded heavenly. You'd think with three ingredients, this would be pretty fail proof. Our gel canister ice cream maker was way too cold and the yogurt concoction froze solidly to the sides almost instantly, so the paddle couldn't turn. With the sides of the ice cream maker coated in a solid layer of overly frozen yogurt, the yogurt in the middle just got cold...it didn't freeze much at all. I wanted ice cream and this definitely was not ice cream. It was good yogurt, but it didn't even come close to ice cream for me. This is 20 minutes after scooping out the soft yogurt...it's still frozen solid. I could mortar a house with this stuff! You can't use metal on these gel canisters...and as you can see, a wooden spoon just doesn't cut it. Try the alternative method given in the blog of freezing in in popsicle form. Try different flavors in the yogurt...maybe I can make it less yogurty and more desserty. If you still want to make it healthy and sugar free but don't want the honey taste, try using Truvia or some other natural sweetener. We like Truvia at our house. Buy ice cream if it's ice cream you're wanting. Do note, that this isn't a bad recipe at all for regular yogurt when yogurt is desired. I'm going to make it again, just not when I'm craving ice cream. Done something you saw on Pinterest and it didn't turn out quite right (anywhere from just barely off to a complete disaster)? We are collecting pictures and stories to fill this blog. 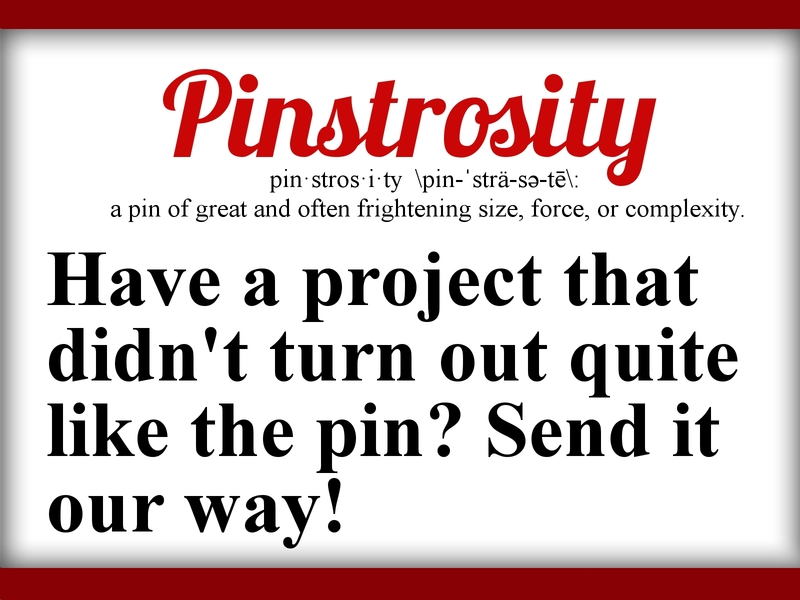 Send us the original pin/picture, a picture of your project and your story about your adventure. You can tell us what went wrong, what went right, what you changed from the pin, what you did with it, etc. This isn't a site to just laugh and make fun of projects gone wrong, but to help troubleshoot and learn from mistakes and to figure out what pins out there really are good and which ones could use some help. Along with submissions we receive, we have our own pinstrosities that we'll be posting up as we try out as many pins as we can. Note: We will not publish any content containing vulgarity, profanity, or rudeness.